An EHR for the future: valuable, viable, and sustainable. Your EHR is more than just a one-time purchase. It's a long term commitment. How do you know you have the right system to handle healthcare challenges of both today and tomorrow, when it comes to tackling value-based care, growing your operating margin, staying independent? We've got you covered — from the bedside to the boardroom, and all points in between — and at a fiscally responsible price point. MEDITECH beats the competition on quality and value. Some people say that to get more you have to pay more. But is that really true? A recent study by Navin, Haffty & Associates used data from the CMS database as well as Meaningful Use attestation and EHR data to validate different hospital EHRs based on quality metrics, including HAC penalties, readmission penalties, and value-based purchasing outcomes. The results were telling, as MEDITECH Expanse surpassed Cerner and Epic in all categories. When it comes to better quality at a lower cost, MEDITECH leads the pack. Maintain a healthy balance for you and your patients. Improve the health of your patients and improve your bottom line to prevent providers from being plagued by HACs, readmissions, and financial penalties. Increase patient compliance by using MEDITECH's EHR to help keep them engaged and on track. Reduce penalties and extended lengths of stay by using our surveillance tools to reduce HACs and other high risk conditions. Guide patients down the healthy path by proactively following up on due or overdue checkups, immunizations, mammograms, or other health maintenance items. Help patients stay healthier at home by using telehealth to monitor their progress and prevent readmissions. Keep the cost of ownership low, but quality high. Experience a low cost of ownership like no other, and invest your savings into what matters most — the staffing and resources needed to provide the quality care and welcoming environment your patients deserve. How does MEDITECH do it? MEDITECH Executive Vice President Helen Waters weighs in on the exorbitant cost of healthcare IT and its potential impact. Better patient management generates bigger dollars. With the shift to value-based care, a solid plan to manage your patient populations will also help you to maximize your earning potential. Take a proactive approach to disease management and chronic care by using MEDITECH's patient registries to identify at-risk individuals, reduce gaps in care, and reach out to those who are overdue for health maintenance. 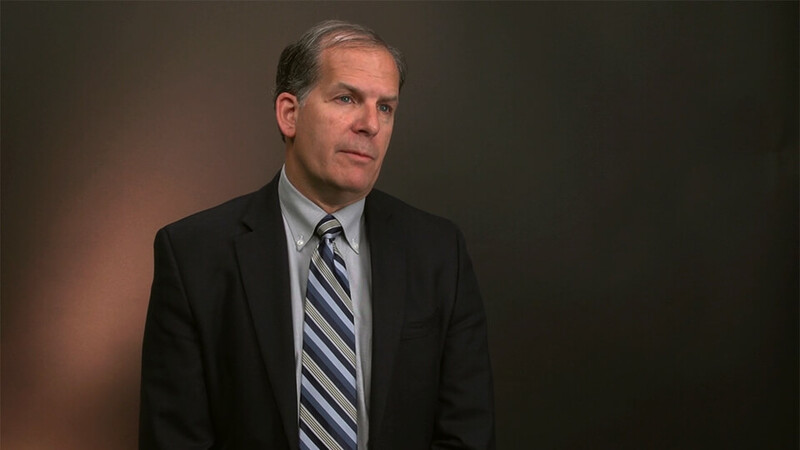 Michael Fletcher, MD, VP and CMO of Hancock Regional Hospital describes the difference MEDITECH's Patient Registries can make for your clinical and financial outcomes. Leverage your EHR as a means of identifying and managing new revenue opportunities, such as annual wellness visits, transitional care management, and chronic care management billing - CPT 99490. Our Revenue Cycle solution and new chronic care management registry can help you meet the documentation requirements for CPT 99490 and automatically drop charges to billing. Your data. Your way. With Business & Clinical Analytics. Have the right information to make smart financial decisions. With MEDITECH's Business and Clinical Analytics (BCA) solution, we'll help you to connect the dots across your service lines. View "at a glance" summaries, and drill down to understand root causes of issues, target those issues, and improve outcomes. Take advantage of our more than 70 standard dashboard views, or use our Self Service Analytics to drag and drop metrics into more personalized charts and graphs. BCA puts senior management executives in the driver's seat. Use executive dashboards to reveal areas for improvement, identify performance drivers, and make empowered decisions. Exceed patient expectations by monitoring patient satisfaction scores, portal enrollment, and patient education. Optimize your revenue cycle, identify profit opportunities, and determine what quality improvements can increase reimbursement and prevent costly penalties. Use quality dashboards to assess performance at the individual, practice, and group level to identify variations in care and assure adherence to best practices. Identify trends to stay ahead of the curve, such as what service needs are on the rise, or what programs could pave the way for new revenue opportunities. Bring in third-party industry data or competitor information to see how your organization sizes up, from patient satisfaction scores to keeping patients in network. With a healthy revenue cycle, you can thrive in a value-based world. Retain more of your hard earned dollars through smooth revenue cycle automation, starting at the first points of patient contact. Increase point of service collections through electronic insurance verification and copay collection at registration. Prevent lost charges with real-time, clinically-driven charge capture. Use interactive worklists to prioritize billing, collections, and denial management follow-up in a centralized billing office. And keep a close eye on your financial and quality performance by establishing benchmarks, comparing metrics across pay periods, and targeting areas of improvement. 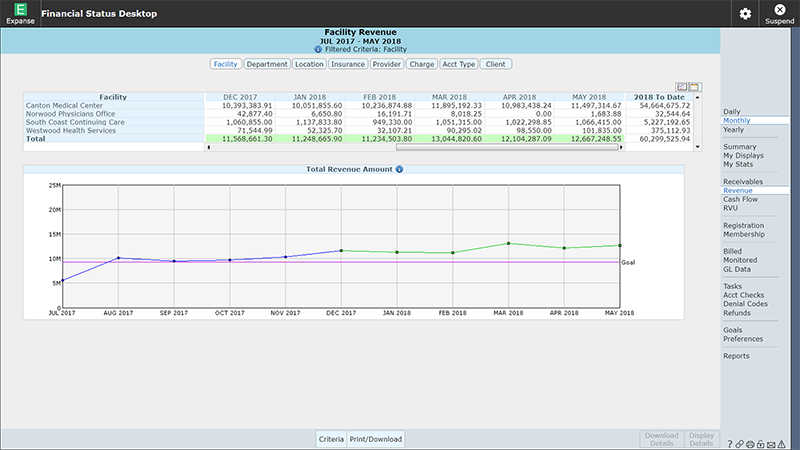 "The transparency of the data within the Financial Status Desktop has driven numerous efficiencies in our processes. We are now able to identify and react more quickly to trends — such as insurance denials — that can have a negative impact on our A/R days." Learn about the key drivers of long-term financial sustainability and the qualities needed in an EHR to help you succeed, both today and tomorrow.